Over the past decade, libraries, museums, historical societies, archives and other cultural heritage institutions have realized the capacities and possibilities that bring the newest media, the internet in particular. Some of them have made a quite good start at ‘digitizing important cultural heritage collections and developing digital services’ (p.4). Although the sector is becoming more and more advanced, there is an enormous need for the improvement in operations of such institutions. There is still a recognition ‘that these digital are not perfectly suited to the needs of today’s users’ (p.4). 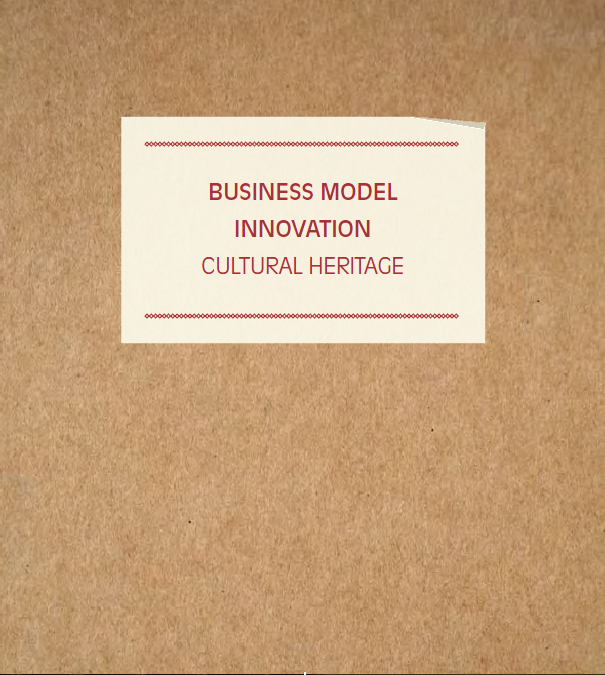 ‘Business Model Innovation Cultural Heritage’ is a result as well a report of a project carried out in Netherlands in 2009 by two Dutch institutions, The DEN Foundation as well as Knowledgeland; and commissioned by the Ministry of Education, Culture and Science in 2010. As we read in the introduction, the book ‘aims to provide cultural heritage institutions with better insight into obstacles to be overcome’ (p. 5). The authors are right. The book is a kind of textbook for those, who already have made cultural and social capital more accessible. The publication aim is to improve their operations. ‘Business Model Innovation Cultural Heritage is also designed for those cultural institutions, who have no experience in digital distribution of cultural heritage. Digital developments result in opportunities that were never before available. Therefore, in the first chapter we can find an exhaustive explanation of what ‘Business Model Innovation’ actually is. Reading this part, reader starts to realize a potential of moving from analog to digitized cultural heritage. It teaches how to, in a relatively easy way, increase possibilities, effects, reach and revenues of such institutions. ‘The more heritage institutions move outside their comfort zones, the greater the value that is created’ (p.9). Referring to cultural heritage institutions in the Netherlands, authors convince a reader that the transition from an analogue to a digital proposition offers numerous opportunities to create social value. They also want readers to realize less positive aspects of such enterprises, namely obstacles that would be encountered during this process. The following four chapters delve deeper into those elements of the business model that present obstacles, i.e. Organization, ICT Infrastructure, Copyright and Revenue Models. New Media have brought enormous changes, that no one had even imagined twenty years ago. They have great capacities, but on the other side they require enormous transformations. Cultural Heritage institutions are also faced with such changes with organization. Expectation regarding the availability and usability of digital cultural heritage information are increasing, especially from superior bodies like, for instance in the Netherlands, The Dutch Ministry of Education, Culture and Science. ‘If it is not available online, it does not exist’ (p.38). However, analogue working traditions do not always fit well in an environment with such huge possibilities, that new media have brought. Therefore, there is always the issue of large structural investments. Authors propose collaboration, clear vision of working and what is the most important, making customers feel well served. Organization, is the core that may help reaching a whole new audience, what would not be possible without digital media. Chapter four discusses capacities as well as obstacles that may be encountered when running cultural heritage institution in the digital world. ‘Even if an institution already offers online access to it collection database, there remains the question as to whether it can be easily incorporated into the social web (web 2.0) or semantic web (web 3.0). The further development of the infrastructure would therefore have to support greater flexibility and connectivity’ (p.46). In clear way, using particular examples from the project that had been carried, authors explain which factors can determine the success of success of such enterprises, in appropriate way using ICT infrastructure. As we all know, working in such an environment (museums, libraries etc.) requires extensive knowledge about the copyright. Therefore, this issue is deeply discussed in chapter five. After a general introduction to it, we can find useful information about copyright in the digital era. It is very important for those who run such an enterprise to be aware about all the laws that are related to it, because in digitized cultural heritage institutions, copyright plays enormous role. For those, who really struggle with this field, authors propose numerous different models of dealing with the issue of copyright, which seem very helpful. Finally, the last, sixth chapter, is devoted to Revenue Models. Do such institutions operate for financial profits? Of course not. However they need money, in order to be able to preserve, cultivate, look after and distribute cultural and social heritage. Therefore, this publication, presenting and comparing 5 different approaches to revenue models, explains how to get maximum profit out of the possibilities of digitization. To conclude, I need to say that the book is a must-read for those who already work or will in future work in the industry of digitized cultural heritage. Based on finished project, enriched with authors empirical knowledge and experience, gives a reader great insight into the field. It is easy to read, with plenty of examples from the project. ‘Although we are still far from reaching our goal of creating the ubiquitous, open, virtual library that is necessary to support the knowledge economy, we feel that we have at least been able to map out the issues and some paths towards solutions. This has resulted in a publication that I would like to bring to your attention’ (website). Highly recommended also for those who deal with traditional (analogue) cultural heritage institutions, because key information and ideas that can be adjusted in this sector, can be found in the book. It will certainly convince them to go a step further and to digitize and distribute their collection online. Electronic version of the book can be downloaded as PDF file in Dutch and English.